It’s more than likely that your home is your single most expensive asset – in fact, the purchase or sale of a residential property is often the biggest, most important financial transaction that the majority of people will ever make. The increasing complexity of property legislation and conveyancing law, and the fact there’s so much hard-earned money at stake means there’s really no such thing as a simple property transaction. Remember, an Agreement for Sale and Purchase of a property is a legal, binding document – which means that once you’ve signed it, you usually cannot change your mind, unless there are very special conditions for doing so. Therefore it’s very important you get the best legal advice right from the start of the conveyancing process. Actually, a good habit to cultivate is to never sign any document before you get legal advice! Right, back to that ideal property you’ve just found in the tough Auckland housing market. At this stage you need the services of an experienced local Auckland conveyancing lawyer to transfer the legal ownership of the property from the seller to yourself. This process, known as conveyancing, involves a lot of paperwork and it’s vital that all aspects of the process are completed correctly. When buying property there’s literally too much at risk to take shortcuts. It’s therefore very important to get sound legal advice as early in the process as possible. When it comes to conveyancing, if the right actions, and the accompanying paperwork, don’t happen at the right time, there can be considerable delays to the transaction – even to the extent of causing the whole transaction to fall through. It’s important to ensure you have a local Auckland law firm – one that specializes in property law – in your court. Your Auckland conveyancing lawyer will have the training and skills needed to deal with the legal intricacies, and the varying degrees of complexity, of buying and selling property. A good Auckland conveyancing solicitor will see to it that nothing unexpected arises during the entire conveyancing process, ensuring everything is completed efficiently and at an acceptable cost. Conveyancing is not simply just a form-filing process – there’s far more at stake. Your Auckland conveyancing solicitor will check for all sorts of potential problems by doing on-title and off-title searches. The on-title search involves checking all aspects of the actual property title itself to ensure there are no complications, for example, things like rights-of-way or covenants on the title that may affect how you can use the property. Your conveyancing lawyer’s off-title search will cover a variety of issues, depending on the property and its location, which is why having a local lawyer who is familiar with your local area is very handy. The off-title search will typically start with the information in the Land Information Memorandum or LIM report. The LIM report contains all the information the local council has on the specific property, including building consents for the structures on the land, the council rates, and public works in the area, for example road developments nearby and local zoning rules. Other off-title searches might include looking at documents, such as building and engineering reports, council and/or survey plans for the area, geo-technical reports on the land’s seismic conditions, and so on. Having your local property lawyer do these searches is the best way to be sure of exactly what you’re buying, rather than what you might think you’re buying! If you are worried about any aspect of the property that these searches reveal, you can get your Auckland conveyancing lawyer to insert clauses in the Agreement for Sale and Purchase to make your offer subject to these items being remedied. Of course, this can only happen if you have given your local conveyancing solicitor the chance to review and approve the agreement beforehand. Yet another very good reason for getting your local conveyancing lawyer onboard right from the start. Conveyancing law also involves a complex web of relationships that your Auckland conveyancing law firm will manage on your behalf – relationships that include your bank, the seller’s bank and solicitor, insurers, estate agents, local authorities, body corporates, mortgage brokers and more – all of whom have very specific requirements for their aspect of the property transaction. While much of this activity might be invisible to you or the seller, you can be sure that your local conveyancing lawyer is working behind the scenes to bring all of these relationships together in such a way to ensure the transaction can be successfully completed. Employing a good local property lawyer will not only give you the peace of mind of knowing that your rights are being protected under the law, but will also ensure that any issues affecting your property purchase can be resolved as effectively and efficiently as possible. Having a local conveyancing lawyer will also mean that all your appointments with your solicitor are easy and convenient to get to – saving you time and hassle. 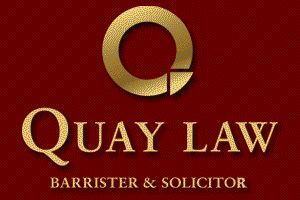 The team at Auckland law firm Quay Law specializes in all aspects of property law. We offer our clients a friendly, personal service to ensure your important property transaction goes as smoothly as possible. An added advantage of engaging one of our conveyancing lawyers at Quay Law is that we can also help you with many other aspects of law that might relate to your property transaction. For example, if you need help to structure a trust for your property purchase or clarify any tax implications of the transaction, draft a will or ensure other aspects of your estate planning are in place, then our highly qualified team is on hand to help you. So, if you’ve found your dream property and want to start the process to own it, give us a call straightaway.